The COSCO company, with whom NELT has been working since 2017, is one of the main executors of the Chinese national state Belt and Road initiative, which aims at strategic connections between the port of Piraeus and various destinations across the Balkans and the countries of central Europe. 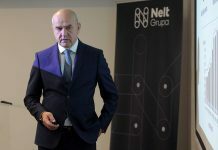 Through this cooperation, Nelt’s intermodal terminal in Belgrade has become the logistical node of the Balkans thanks to its excellent location and technical advantages. 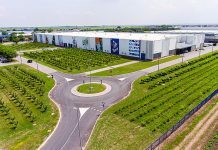 “In two years of the terminal’s work, more than 300 compositions have passed through the business complex at Dobanovci, and 25,000 manipulations have been made with over 15,000 TEU. 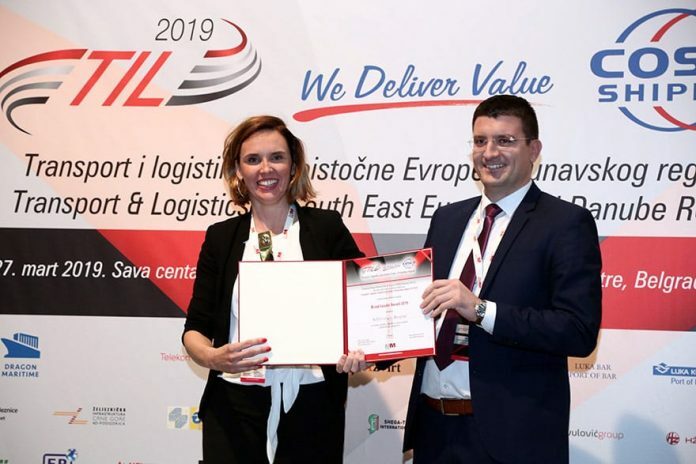 Rail transport of containers has been carried out between Dobanovci and the ports of Rijeka and Piraeus, and terminals in Hungary”, said Jelena Jovanić, manager of the intermodal terminal, who received the prize in Nelt’s name. The terminal is open to all actors on the market for import, transit and export, from shipping firms and rail operators through logistics companies and forwarders to producers, brand owners and other distributors. It is connected to all European ports and land terminals. The E-75 and E-70 motorways cross a few kilometres from the terminal, while Nikola Tesla airport is just ten kilometres away. In Nelt’s logistics centre, there is a working customs office with a warehouse, which allows for strong support and flexibility for various procedures and goods flows. The set of logistics services for clients launched by activating the intermodal terminal has allowed logistical costs to be lowered, with faster, more secure and higher quality transport services.